Fulham Nozzle 8mm Copper Pipe to Rubber Gas Hose. 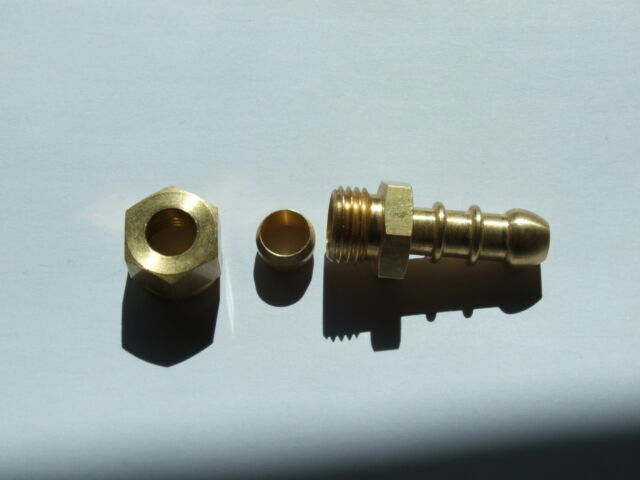 Joins 8mm copper pipe to 10mm Fulham nozzle gas hose fitting. Contents 1 XLPG Fulham hose connector. 8mm to 3/8 BSP Straight inlet, 8mm elbow inlet, 3/8” BSP blanking plug, 8mm Olives. item 1 Fulham nozzle 8mm Copper pipe to Rubber gas hose. -Fulham nozzle 8mm Copper pipe to Rubber gas hose. item 2 Fulham nozzle 8mm Copper pipe to Rubber hose. -Fulham nozzle 8mm Copper pipe to Rubber hose.